Pattaya workers fixed broken drain covers on Thepprasit Road following complaints from local road users. 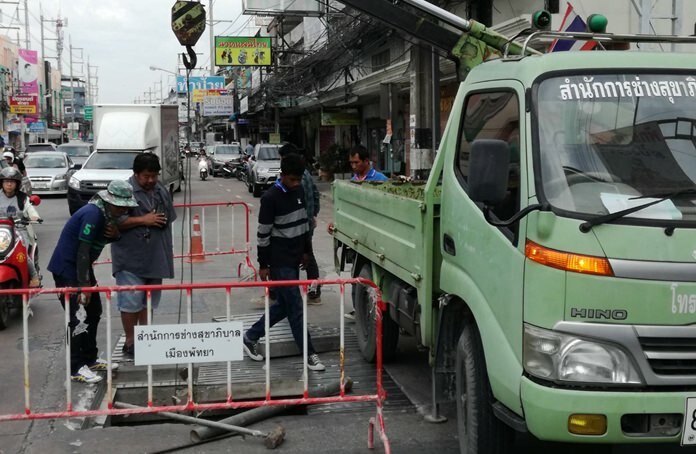 Foreman Sillapachai Maopan led a work crew to the intersection of Thepprasit Soi 9 Nov. 8 where people reported to a local cable-television how collapsed and broken grates were posing dangers to motorists. Workers welded new frames and replaced the grates where needed. The operation took about two hours.